The new technology developed by Vodafone also enhances the European Union’s potential to become the centre of global innovation in drone technology in line with the European Commission’s “U-space” vision for innovative and safe drone operations. 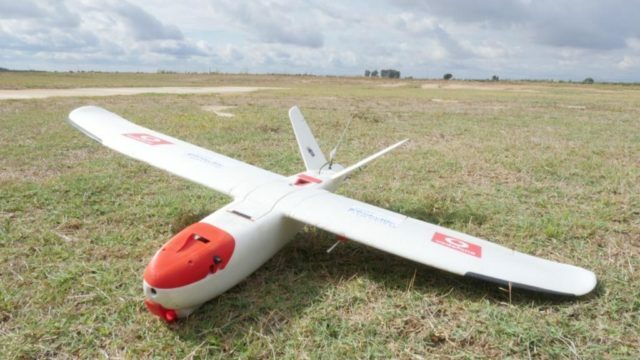 Vodafone has developed the world’s first Radio Positioning System (RPS) for drones. This uses a 4G modem and SIM embedded within each drone to enable:• real-time tracking of each drone (with up to 50 metre accuracy) by drone operators and authorised bodies such as air traffic control;• over-the-horizon/beyond line-of-sight control by the operator, greatly reducing the risk of accidental incursions when operators lose sight of their drones; • protective geofencing, with drones pre-programmed to land automatically or return to the operator when approaching predetermined exclusion zones (such as airports and prisons);• emergency remote control intervention to provide the authorities with the means of overriding a drone operator’s control to alter a drone’s flight path or force it to land; and• SIM-based e-identification and owner registration.4G mobile networks operate with long-established and proven security systems, including strong end-to-end encryption over-the-air from SIM to base station. RPS location data is significantly harder to hack or spoof than GPS location data, and the data connection used to control the drone offers the operator significant advantages over current drone radio control protocols including greater resilience and over-the-horizon real-time feedback. The Vodafone RPS is combined with Artificial Intelligence algorithms – also developed by Vodafone – to enable very large numbers of drones to be tracked and controlled remotely. Vodafone has placed its RPS research and associated intellectual property in the public domain with no licensing fees for re-use in order to accelerate the pace of drone safety and geolocation innovation worldwide. In a preliminary trial in late 2017 – the first of its kind in the world – Vodafone used its 4G network to control a 1.3 metre wingspan, 2 kilogram X-UAV drone. Throughout the preliminary trial – which took place over a 32-kilometre course around the town of Isla Mayor, near Sevilla in Spain – the drone transmitted a real-time HD video feed and flight data including speed, RPS location and GPS coordinates. The technology behind RPS will also be utilised to boost the functionality of other IoT devices in future – from luggage tags to bicycles. RPS could support, or replace, GPS in some IoT devices, enabling better location tracking, particularly indoors, the creation of smaller devices and enhanced security.